We are advertising & vehicle wrap specialist. 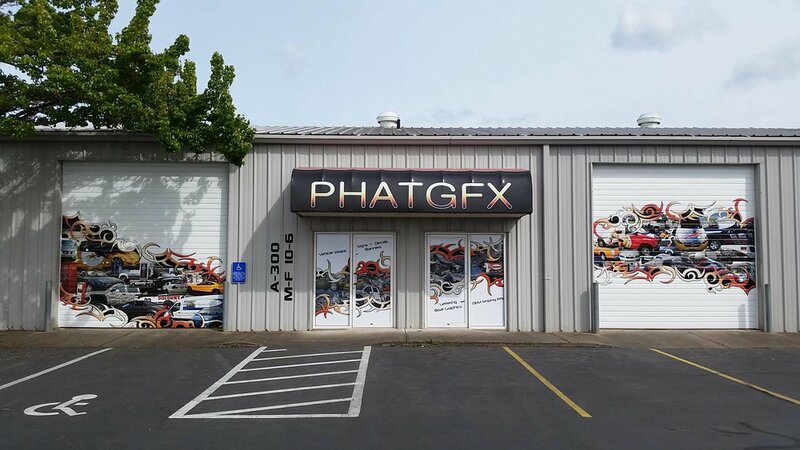 Phat GFX started as a small decal design shop in Molalla, Oregon in 2014. Since then, we have grown and relocated to a spacious 3,000ft² facility loaded with up to date and specialized professional equipment in Newberg, OR. We love to design and install high impact advertising wrap graphics on cars, trucks, fleet vehicles, boats, signs, and displays. We design and install hundreds of wraps every year. Our award winning staff knows the in's and out's of effective branding designs and proper installation techniques and tools. We built this business on integrity, always going the extra mile to ensure customer satisfaction and long lasting impressions.